мл. науч. сотр. кафедры клеточной биологии и гистологии биологического факультета. 1. Feniouk B.A., Skul achev V.P. Cellular and molecular mechanisms of action of mitochondria-targeted antioxidants // Curr. Aging Sci. 2017. Vol. 10. N 1. P. 41–48. 2. Holmstrom K.M., Fin kel T. Cellular mechanisms and physiological consequences of redox-dependent signaling // Nat. Rev. Mol. Cell Bio. 2014. Vol. 15. N 6. P. 411–421. 3. 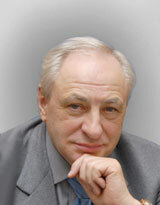 Kalinina E.V., Chernov N.N., Novichkova M.D. Role of glutathione, glutathione transferase, and glutaredoxin in regulation of redox-dependent processes // Biochemistry (Mosc). 2014. Vol. 79. N 13. P. 1562–1583. 4. Medzhitov R. Origin and physiological roles of inflammation // Nature. 2008. Vol. 454. N 7203. Р. 428–435. 5. Mittal M., Siddiqui M.R., Tran K., Reddy S.P., Malik A.B. Reactive oxygen species in inflammation and tissue injury // Antioxid. Redox Sign. 2008. Vol. 20. N 7. Р. 1126–1167. 6. Laurila J.P., Laatikainen L.E., Castellone M.D., Laukkanen M.O. SOD3 reduces inflammatory cell migration by regulating adhesion molecule and cytokine expression // PLoS One. 2009. Vol. 4. N 6:e5786. 7. Niethammer P., Grabher C., Look A.T., Mitchison T.J. A tissue-scale gradient of hydrogen peroxide mediates rapid wound detection in zebrafish // Nature. 2009. Vol. 459. N 7249. Р. 996–999. 8. Hurd T.R., DeGennaro M., Lehmann R. Redox regulation of cell migration and adhesion // Trends Cell Biol. 2012. Vol. 22. N2. Р. 107–115. 9. Hattori H., Subramanian K.K., Sakai J., et al. Smallmolecule screen identifies reactive oxygen species as key regulators of neutrophil chemotaxis // Proc. Natl. Acad. Sci. USA. 2010. Vol. 107. N 8. P. 3546–3551. 10. Blasig I.E., Bellmann C., Cording J., Del Vecchio G., Zwanziger D., Huber O., Haseloff R.F. Occludin protein family: oxidative stress and reducing conditions // Antioxid. Redox Sign. 2011. Vol. 15. N 5. Р. 1195–1219. 11. Monaghan-Benson E., Burridge K. The regulation of vascular endothelial growth factor-induced microvascular permeability requires Rac and reactive oxygen species // Biol. Chem. 2009. Vol. 284. N 38. Р. 25602–25611. 12. Segal A.W. The function of the NADPH oxidase of phagocytes and its relationship to other NOXs in plants, invertebrates, and mammals // Int. J. Biochem. Cell B. 2008. Vol. 40. N 4–3. Р. 604–618. 13. Warnatsch A., Tsourouktsoglou T.D., Branzk N., Wang Q., Reincke S., Herbst S., Gutierrez M., Papayannopoulos V. Reactive oxygen species localization programs inflammation to clear microbes of different size // Immunity. 2017. Vol. 46. N 3. Р. 421–432. 14. Khan M.A., Palaniyar N. Trans criptional firing helps to drive NETosis // Sci. Rep. 2017. Vol. 7:41749. 15. Ikeda S., Yamaoka-Tojo M., Hilenski L., Patrushev N.A., Anwar G.M., Quinn M.T., Ushio-Fukai M. IQGAP1 regulates reactive oxygen species-dependent endothelial cell migration through interacting with Nox2 // Arterioscler. Thromb. Vasc. Biol. 2005. Vol. 25. N. 11. Р. 2295–2300. 16. Wang Y., Zang Q.S., Liu Z., Wu Q., Maass D., Dulan G., Shaul P.W., Melito L., Frantz D.E., Kilgore J.A., Williams N.S., Terada L.S., Nwariaku F.E. Regulation of VEGF-induced endothelial cell migration by mitochondrial reactive oxygen species // Am. J. Physiol. Cell Physiol. 2011. Vol. 301. N 3. Р. C695–C704. 17. Lopes F., Coelho F.M., Costa V.V ., Vieira É.L., Sousa L.P., Silva T.A., Vieira L.Q., Teixeira M.M., Pinho V. Resolution of neutrophilic inflammation by H2O2 in antigen-induced arthritis //Arthritis Rheum. 2011. Vol. 63. N 9. Р. 2651–2660. 18. Kuchler L., Giegerich A.K., Sha L .K., Knape T., Wong M.S., Schröder K., Brandes R.P., Heide H., Wittig I., Brüne B., von Knethen A. SYNCRIP-dependent Nox2 mRNA destabilization impairs ROS formation in M2-polarized macrophages // Antioxid. Redox Sign. 2014. Vol. 21. N 18. Р. 2483–2497. 19. Zhang Y., Choksi S., Chen K., Pobezinskaya Y., Linnoila I., Liu Z.G. ROS play a critical role in the differentiation of alternatively activated macrophages and the occurrence of tumor-associated macrophages // Cell Res. 2013. Vol. 23. N 7. Р. 898–914. 20. Tan H.Y., Wang N., Li S., Hong M., Wang X., Feng Y. The reactive oxygen species in macrophage polarization: reflecting its dual role in progression and treatment of human diseases // Oxid. Med. Cell. Longev. 2016. Vol. 2016: 2795090. 21. Morgan M.J., Liu Z.G. Crosstalk of reactive oxygen species and NF-κB signaling // Cell Res. 2011. Vol. 21. N 1. P. 103–115. 22. Wagener F.A., Carels C.E., Lundvig D.M. Targeting the redox balance in inflammatory skin conditions// Int. J. Mol. Sci. 2013. Vol. 14. N 5. P. 9126–9167. 23. Dalle-Donne I., Rossi R., Colombo R., Giustarini D., Milzani A. Biomarkers of oxidative damage in human disease // Clin. Chem. 2006. Vol. 52. N 4. P. 601–623. 24. Liu Z., Ren Z., Zhang J., Chuang C.C., Kandaswamy E., Zhou T., Zuo L. Role of ROS and nutritional antioxidants in human diseases // Front. Physiol. 2018. Vol. 9:477. 25. Oyewole A.O., Birch-Machin M.A. Mitochondriatargeted antioxidants // FASEB J. 2015. Vol. 29. N 12. P. 4766–4771. Челомбитько М.А. РОЛЬ АКТИВНЫХ ФОРМ КИСЛОРОДА В ВОСПАЛЕНИИ. МИНИ-ОБЗОР. Вестник Московского университета. Серия 16. Биология. 2018;73(4):242-246.